So I seem to have been eating out more than usual recently, why not? 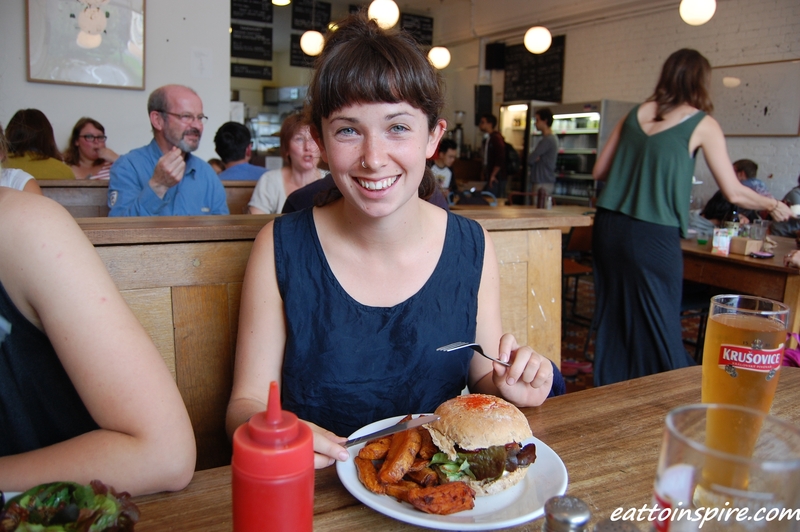 There are so many great vegan places in Bristol offering great food at very reasonable prices. Well, it would be rude not to. I met with some girlfriends today, we watched The Lego Movie (again). Everything is awesome. The showing was at midday so when we got out we were hungry! We decided to hit up Cafe Kino (I know, twice in one week it is so good though) so we strolled up to Stokes Croft in the Sunday sunshine. I always order a burger and fries at Cafe Kino as it is my favourite but I decided, for the benefit of you guys, that I should try something new. I went for the vegan ‘BLT’ sandwich with curly fries. I’ve never had facon before and it was pretty good. Ruby also had some for the first time and she was equally impressed. I shall show you what we all ate, it was super yummy! 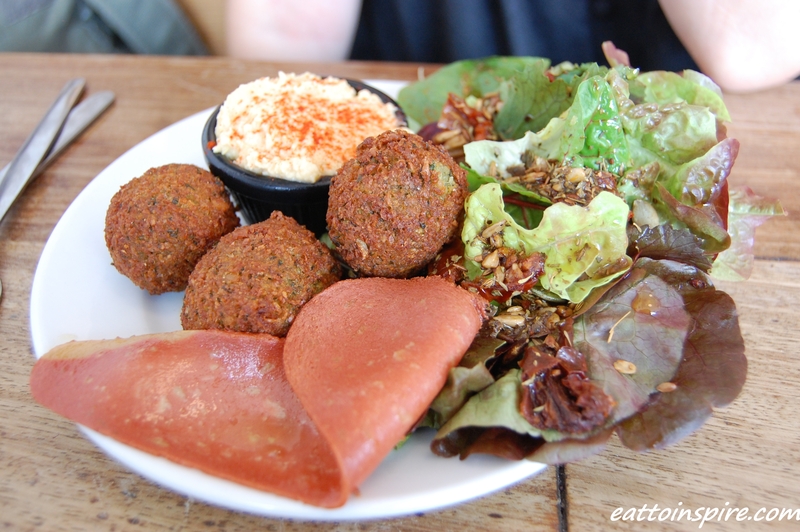 Ruby had falafels with salad, hummus and facon. 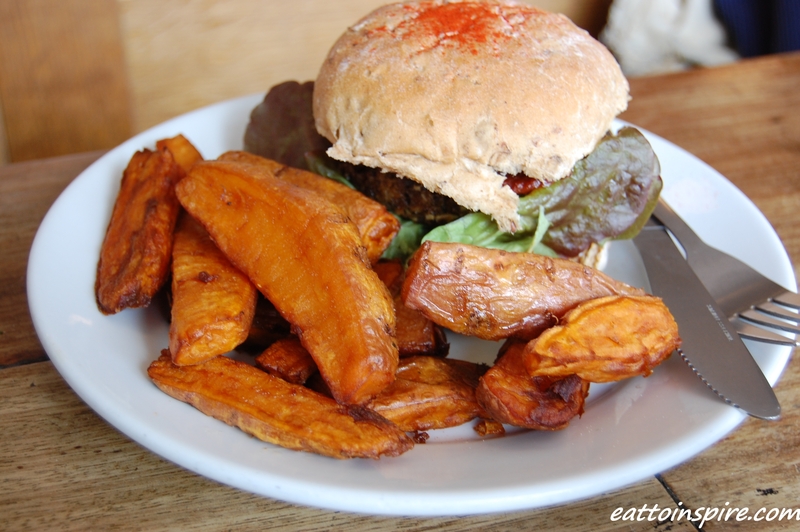 Ceri had the spicy burger with sweet potato wedges. She said it was delicious. I had the facon (fake bacon) BLT with curly fries. This is normally served in sliced bread but they had ran out so it came in a burger bun which was still totally delicious. 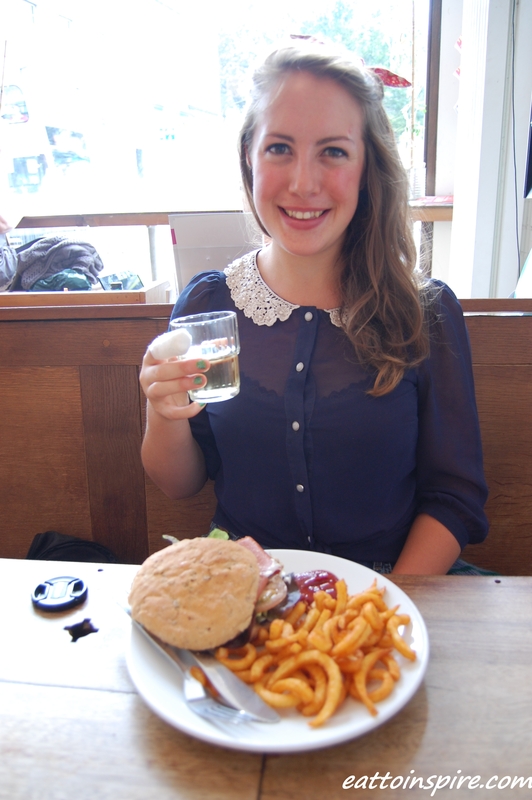 I also had a cheeky glass of white wine, because Sunday Funday! Hi, I’m Olivia and I like to eat foooood. Cheers! The gorgeous Ceri. You guys should check out her blog Wholesome Little Grain for healthy recipes and beautiful words. Ceri and Ruby with the best cake EVER! 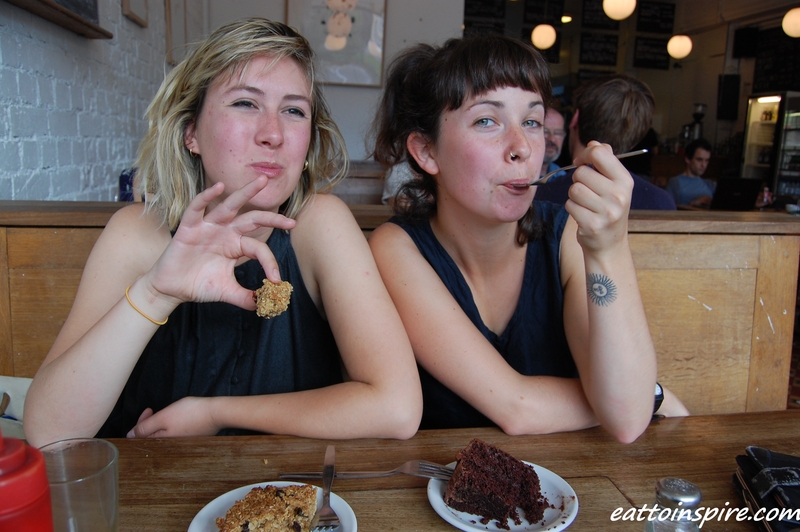 We all shared flapjack and vegan chocolate sponge. The cake was absolutely the bomb. To die for. I shall dream about that cake tonight it really was so good. I finished the meal with a black americano since my food baby was making me sleepy. I had such a lush lazy Sunday with these two babes. We finished our afternoon with another cheeky drink at Canteen and we parted ways. I had super good intentions of going for a long run when I got home but I was exhausted by the time I got home, probably from way too much talking. I am all about enjoying my running at the moment – not going out because I have to, but because I want to. If you’re going to do something you might as well have fun whilst you’re doing it 😀 I shall awake before the birds in the morning and head out for my long run. With that said. it is 9:43pm and I am heading to bed to dream about that chocolate cake again! Yay! 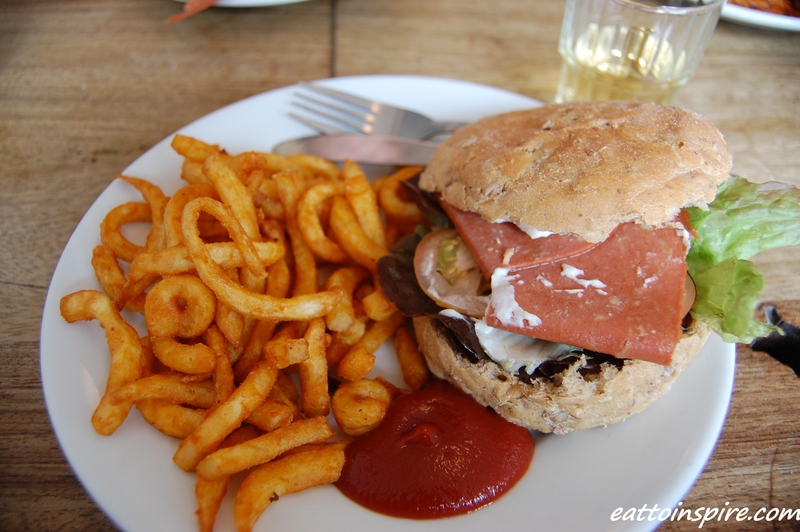 More cafe kino, love that pale and your BLT looks delicious, I love fakon! I had a super lazy Sunday, long lie in lots of reading and writing blogs, a little work, a spot of exercise and lots of eating! never had fakon before…does it hold up well, taste/texture wise?